Elijah has had his first day at school. Our tiny little Elijah is at actual school how did that even happen? 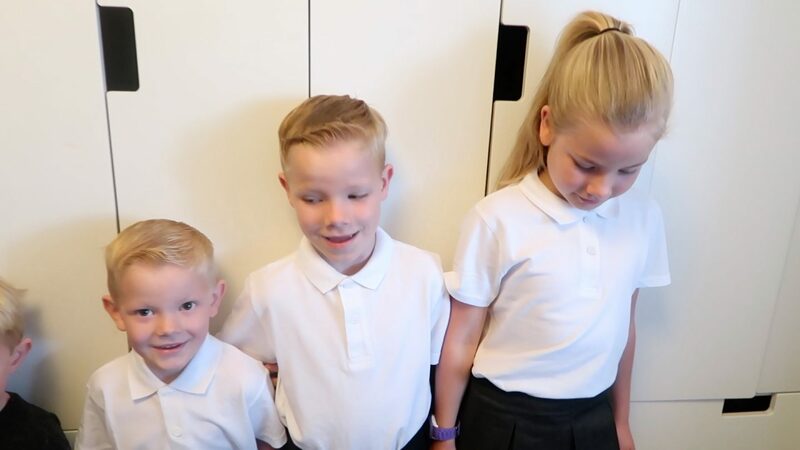 When Grace and Reuben started school we wasn’t videoing nor did we have this website. So my memories of them starting are a little shaded. I didn’t want that to happen this time. I want to be able to remember every moment of it. So we Vlogged and now I’m going to tell you all the feelings that I felt. I think this is super obvious. We all feel so nervous for them and for our selves. Will he go in without getting upset will I get upset. All the thoughts go through your mind. He went in fine though and I didn’t get upset either. I was so proud of him. He settled himself at the paint table (with two girls that we know) and just got on with it. I was stood there a little like ok then don’t mind me ill just leave now. I had actual nightmares the nights leading up to the start. The one dream was so real when I won’t I was a wreak. I dreamed that we was so late and I forgot to get him dressed and I had only got Grace and Reuben ready. I also had nightmares that I hadn’t made lunch. Why do we get our selves in such a tizzy over school. I really never thought I would be like this. Im quite a chilled person but school has made me into a raving lunatic. Now a lot of people just want to walk in the playground and walk back out. I hate this I love seeing people I know and having a little chat. Granted I don’t have a job to get to but just a quick hello how you doing really makes my morning. And I think it is the same for a lot of people as it could be the only adults that they see that day. I always make the effort to smile to most people that make eye contact with me. Im pretty sure I’m known as the strange lady that constantly smiles. This is the biggest worry that I have. The thought of making the kids late fills me with dread. I can’t bear the thought of them walking in once everyone else has settled. So I always make sure we leave a little earlier than we need to just incase. I really think this time was harder than when the older two started. A lot of it was Elijah has been so excited and really wanted to go. He has talked about it all summer and it has made me a little sad. Reuben has always wanted to be at home and I feel that thats because he loves me so much. Yet Elijah is so independent that he can’t wait to cut the strings. I know its only reception and his going to need me for many years to come but still he didn’t even look back just ran in. 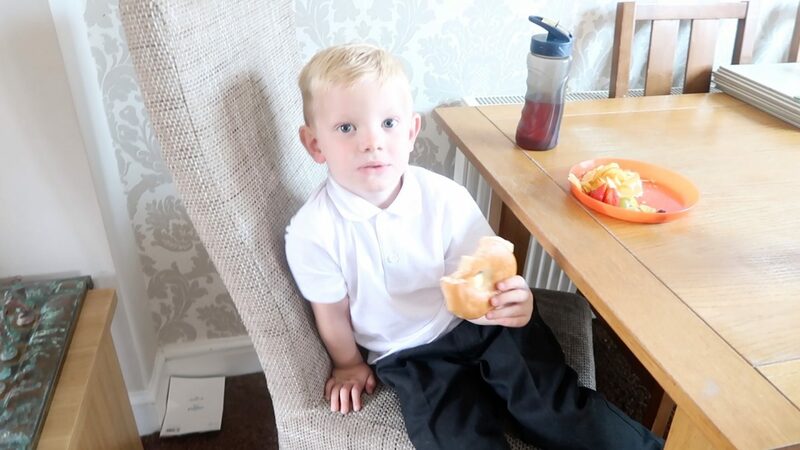 He was more than ready to start school, he adores activities and plays so well with others I really think he is going to do so well at school. Today he came out and was so excited that he got to see Grace and Reuben and that his at big school just like his big brother. It actually melted my heart a little. I really hope all your little ones going back or just starting have had a brilliant time. School is scary but also so much fun and i really hope all mine focus on that part for the whole year.